Windows Health Center is a fake security application from the same family as: Windows Shield Center, Windows Antispyware Solution, Windows Risk Eliminator, Windows Universal Tool, Windows Utility Tool, Windows Security & Control, Windows Optimization & Security, Windows System Optimizator, Windows Optimization Center, Privacy Corrector, Privacy Guard 2010. This rogue displays fake warning messages pushing users to buy a license. If your PC is infected with Windows Health Center use MBAM to remove the infection. If your PC is infected with Smart Internet Protection 2011 use MBAM to remove the infection. Windows Shield Center is a fake security application from the same family as: Windows Antispyware Solution, Windows Risk Eliminator, Windows Universal Tool, Windows Utility Tool, Windows Security & Control, Windows Optimization & Security, Windows System Optimizator, Windows Optimization Center, Privacy Corrector, Privacy Guard 2010. This rogue displays fake warning messages pushing users to buy a license. If your PC is infected with Windows Shield Center use MBAM to remove the infection. Fake AVG Anti-Virus uses a real Antivirus solution name to mislead users. This rogue is from the same family as Antivirus 8. Previous Family skin was: Antivirus GT, Antivirus 7, Antivir 2010. It is not the first time this rogue takes real Antivirus names. The Fake AVG Anti-Virus detects and display fake infections to scare users pushing them into buying a license. 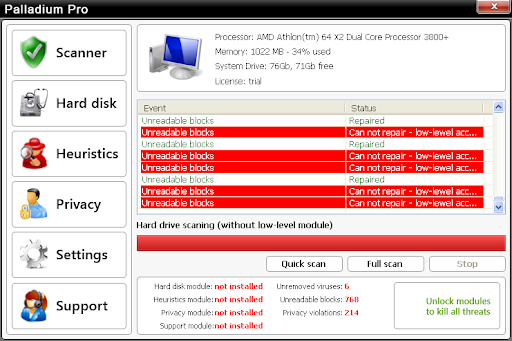 If your PC is infected with the Fake AVG Anti-Virus use MBAM to remove the infection. Windows Antispyware Solution is a fake security application from the same family as: Windows Risk Eliminator, Windows Universal Tool, Windows Utility Tool, Windows Security & Control, Windows Optimization & Security, Windows System Optimizator, Windows Optimization Center, Privacy Corrector, Privacy Guard 2010. This rogue displays fake warning messages pushing users to buy a license. 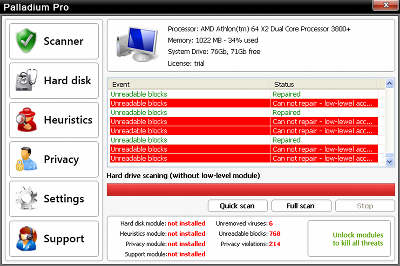 If your PC is infected with Windows Antispyware Solution use MBAM to remove the infection. Antivirus .NET is a fake security application (rogue) from the same family as Antivirus Scan. It displays fake infections to push users into buying a license. If your PC is infected with Antivirus .NET use MBAM to remove the infection. Windows Disk displays a lot of disturbing disks errors messages, prevent softwares execution pushing users to purchase a license. Windows Risks Eliminator (Windows Risk Eliminator) is a fake security application from the same family as: Windows Universal Tool, Windows Utility Tool, Windows Security & Control, Windows Optimization & Security, Windows System Optimizator, Windows Optimization Center, Privacy Corrector, Privacy Guard 2010. This rogue displays fake warning messages pushing users to buy a license. 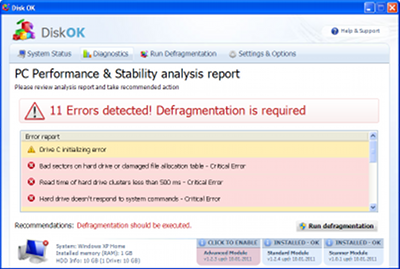 If your PC is infected with Windows Risks Eliminator use MBAM to remove the infection. Windows Universal Tool is a fake security application from the same family as: Windows Utility Tool, Windows Security & Control, Windows Optimization & Security, Windows System Optimizator, Windows Optimization Center, Privacy Corrector, Privacy Guard 2010. This rogue displays fake warning messages pushing users to buy a license. If your PC is infected with Windows Universal Tool use MBAM to remove the infection. 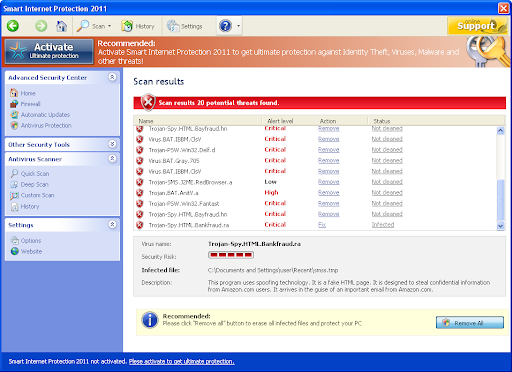 Spyware Protection is a fake Antivirus tool. It is from the same rogue family as Advanced Security Tool 2010, Security Central, Home Personal Antivirus, XP Deluxe Protector, Win PC Antivirus, Win PC Defender, XP Police Antivirus, IE-Security, WinDefender 2009 and Total Secure 2009. If your PC is infected with Spyware Protection use MBAM to remove the infection. Windows Scan displays a lot of disturbing disks errors messages, prevent softwares execution pushing users to purchase a license. Windows Utility Tool is a fake security application from the same family as: Windows Security & Control, Windows Optimization & Security, Windows System Optimizator, Windows Optimization Center, Privacy Corrector, Privacy Guard 2010. This rogue displays fake warning messages pushing users to buy a license. 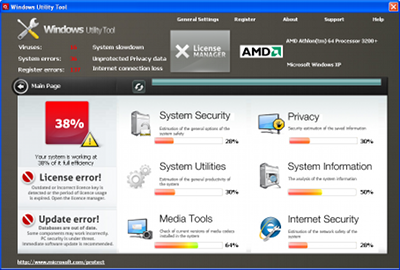 If your PC is infected with Windows Utility Tool use MBAM to remove the infection. Windows Security & Control is a fake security application from the same family as: Windows Optimization & Security, Windows System Optimizator, Windows Optimization Center, Privacy Corrector, Privacy Guard 2010. This rogue displays fake warning messages pushing users to buy a license. If your PC is infected with Windows Security & Control use MBAM to remove the infection. Memory Optimizer displays a lot of disturbing disks errors messages, prevent softwares execution pushing users to purchase a license. Windows Optimization & Security is a fake security application from the same family as: Windows System Optimizator, Windows Optimization Center, Privacy Corrector, Privacy Guard 2010. This rogue displays fake warning messages pushing users to buy a license. If your PC is infected with Windows Optimization & Security use MBAM to remove the infection. Disk Optimizer displays a lot of disturbing disks errors messages, prevent softwares execution pushing users to purchase a license. Windows System Optimizator is a fake security application from the same family as: Windows Optimization Center, Privacy Corrector, Privacy Guard 2010. This rogue displays fake warning messages pushing users to buy a license. If your PC is infected with Windows System Optimizator use MBAM to remove the infection. Good Memory displays a lot of disturbing disks errors messages, prevent softwares execution pushing users to purchase a license. FastDisk displays a lot of disturbing disks errors messages, prevent softwares execution pushing users to purchase a license. DiskOK displays a lot of disturbing disks errors messages, prevent softwares execution pushing users to purchase a license. My Disk displays a lot of disturbing disks errors messages, prevent softwares execution pushing users to purchase a license. Memory Fixer displays a lot of disturbing disks errors messages, prevent softwares execution pushing users to purchase a license. If your PC is infected with Palladium Pro follow bleepingcomputer's removal guide. HDD Fix displays a lot of disturbing disks errors messages, prevent softwares execution pushing users to purchase a license.